When you evaluate skid-steer loader performance, you may automatically assume that more horsepower equals higher capabilities and better results. While horsepower is a consideration, don’t overlook the critical area of machine weight balance. Proper balance is the key to quickness and productivity. It leads to improved turning (skidding), reduces engine power requirements, slows tire wear and extends drivetrain life. Here’s a simple illustration: Stand up and put most of your weight on one foot. When you stand flat-footed, with your weight distributed equally between your heel and toes, it is difficult to turn or pivot. If you shift most of your weight to your heel, it becomes easier to move. You'll have similar results when you shift weight to the ball of your foot. 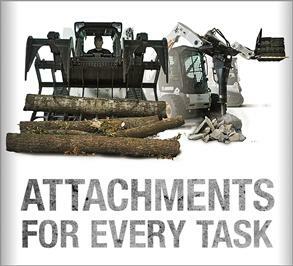 Bobcat® skid-steer loaders use a similar approach to weight balance. 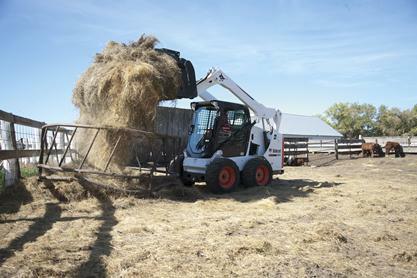 With no load in the bucket, approximately 70 percent of the loader’s weight rests on the rear axle. As a result, the machine easily turns on its rear wheels. 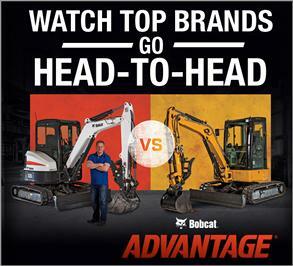 When Bobcat skid-steer loaders have a rated load in the bucket, the front axles become the pivot point. The ratio is reversed, with approximately 30 percent of the machine weight on the rear axle and 70percent on the front axle. This enables easy turns/skids with a rated load — and it reduces the need for a larger engine. Overlooking the importance of balance can make other skid-steer loaders “flat footed” so they require more horsepower to perform simple maneuvers. To compensate, many machines have higher horsepower ratings — but end up having less usable horsepower and use more fuel. The added horsepower is ultimately wasted. In addition, the flat-footed weight balance causes added wear to the tires, engine and drive train. All day long, you must adapt to changing conditions, projects and timelines. 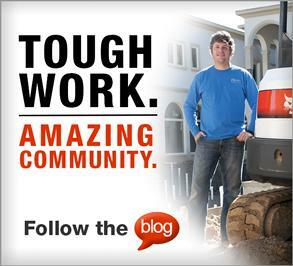 Look for a skid-steer loader with similar agility and responsiveness.